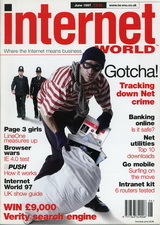 With the tagline 'Where the Internet means business' this publication was more business orientated. In this issue, the site news section reported that Tescos will open five more virtual superstores where you can pick and purchase items from your PC and have it delivered. E-On were pushing their Internet gameschannel into overseas markets (that's Entertainment Online, not the energy company). An article on Internet scams followed pyramid schemes and premium phone lines and there's an interview Virgin about being a cheap Internet Service Provider. The competition was to win a £9,000 Verity Search System for your web site with free telephone support for a year. Under review was Internet Explorer 4.0 and several sites were checked in their case study section, including the film site Empire Web and the Red Cross Internet lottery. The Internet advisor section explained what the Internet was, what email was, the 14 major Internet Service Providers, including AOL, BT, CompuServe, Easynet (who I signed to at the time) and MSN. If you didn't know half of the things in the advisor section then the rest of the magazine would have been complete gibberish so I think they were just trying to 'cover all the bases' as it were. The magazine cost £2.95 and adverts include the HP SureStore CD-Writer 6020ep (connects through the parallel port and reads at X6 and writes at X2) and Internet Access from ClaraNET at £3.99 + VAT for a low user with five hours free per month the £1.50 + VAT per hour thereafter or unlimited access from £8.25 + VAT per month. This was the magazine of the television show and it featured technology and innovation. 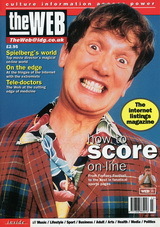 This issue celebrated 33 years of Tomorrow's World and Phillipa Forrester was the host of a new series TW Time Machine. The Tomorrow Today section had snippets of news, including robotic sheepdogs, an explanation of public key cryptography, filming of the new series of Robot Wars and contact lens that correct colour blindness. There's an article on a new Zeppelin NT, the science behind atomic bombs and the explanation of the paranormal. The TWIRT section (Tomorrow's World Institute of Rigerous Testing) has reviews including the Sharp MD-R3H CD/MD, a three CD changer with a MiniDisc (£349.99, scoring 4/5), Toshiba Libretto 100CT Laptop (£1760 scoring 4/5) and PC game Unreal (£39.99 scoring 5/5). The magazine cost £2.75 and adverts include the Panasonic DS77 video camera with 3.8 inch screen and 3D Dream Garden Designer at £29.95. 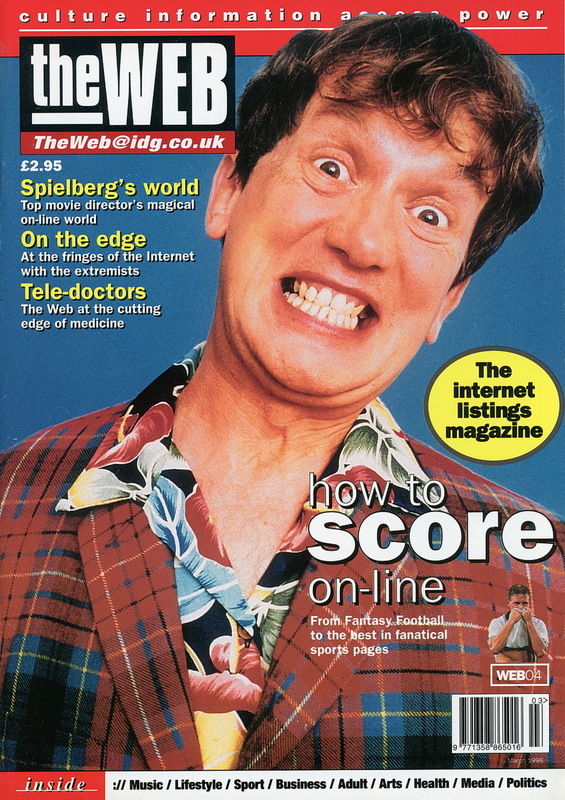 This internet listings magazine, featuring a young Frank Skinner on the cover, was one of many types of magazines in the 90s. In this issue, the news section reported on CompuServe banning 200 newsgroups and listed Cybercafes in the UK (all 39 of them). Several articles have a variety of subjects, from the Starlight Foundation to Fantasy Football Leagues. The 37 pages of web listings covers adult, the art, bizarre, business, education, funnies, health, lifestyle, literature, media, music, on-screen, politics, sports and technology. Each section has some news relevant to the type of sites, and each site listed has a small paragraph explaining the site, plus a score on content, design, links and an overall score. The magazine cost £2.95 and adverts include the Sportster Vi 14400 fax modem and a reader's offer to travel to Paris or Brussels via the Eurostar for £69. 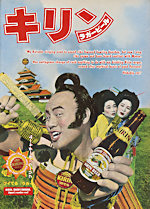 This slim (68 page) film magazine has news, features, reviews, competitions and movie trivia. In the news section, the upcoming releases include Hackers, with Johnny Lee Miller, and Down Periscope, with Kelsey Grammer. Features include Christian Slater in Broken Arrow, Twelve Monkeys with Bruce Willis, the 1996 Oscars and the beginning of the A-Z of Hollywood, from Woody Allen to Clark Gable. Film Reviews include Copycat, The Birdcage, Stolen Hearts and Mary Reilly. There's a crossword, a spotlight on some Laserdisc releases and competition prizes (enter by telephone) of While You Were Sleeping, Clueless, The Wild Bunch, Quick and the Dead. The magazine cost £1.99 and adverts, well apart from the classified section near the back of the magazine, there aren't any. Another American magazine, this had the tagline of 'The Magazine for Desktop Music'. 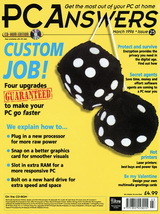 This issue covered computer music software such as QuickTime version 3.0 and hardware like the Creative Labs Sound Blaster AWE64 Gold. The articles give tips, like the one titled How Do I Get New Sounds From General Midi, there's a review of user submitted MOD files (music files with samples that predate SoundFonts) and there's an article called Hot Rods & MODS by George Alistair Sanger, aka The Fat Man. He did the music for the The 7th Guest game and there is advert for two of his CDs elsewhere in the magazine. As all the adverts and the classified section point to companies in the US I couldn't buy anything but the information was sound and they often had websites with audio samples of what they were talking about in the article. The magazine cost £2.75 (or $4.95 US) and adverts include Band-In-A-Box v7.0 for Windows and Mac at $88 and the Yamaha QY70 Music Sequencer at $599.95. 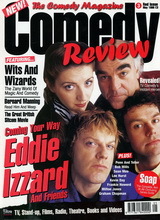 This short run magazine (5 issues) featured all the comedy that was big at the time. 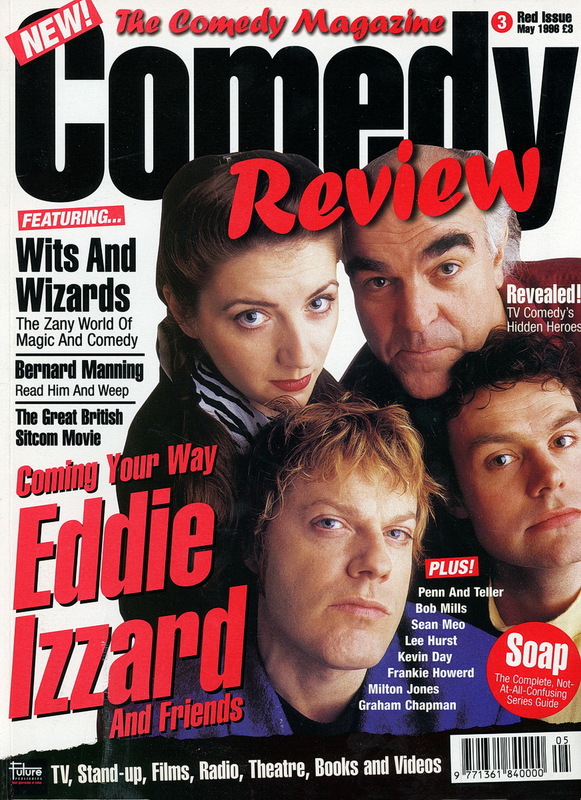 This issue (the red issue) had interviews with Kevin Eldon (who's now the voice of Penfold in the new Danger Mouse cartoon), Milton Jones, Graham Chapman (an interview from 1989), Eddie Izzard, Penn and Teller, Bernard Manning and a piece by Peter Baynam. There's an article on Sitcom movies, like Bless This House, Porridge and Rising Damp. There's a rather harsh list of 41 things that were supposed be but were never funny, including Bread, Butterfiles, Nuns on the Run, Charlie Chaplin and Drop the Dead Donkey. There's the script from Roxanne when Steve Martin does his 20 big nose insults (he actaully does 25), part two of their list of the Cambridge Footlights of the 70's and 80's, from Douglas Adams to Punt and Dennis, and a complete episode guide and story about the comedy Soap, with nice full page cast photo featuring a young Billy Crystal. The magazine cost £3 exactly and adverts include the Nintendo Ultra 64 games console. 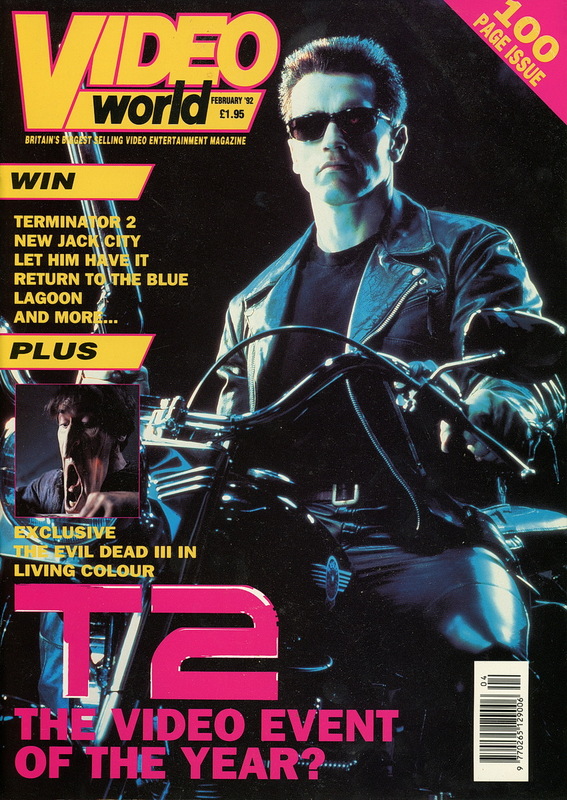 The official magazine only ran for twelve issues, but the US and UK versions had different covers and there was also a special edition of each issue which had a different cover. In this giant 100 page issue was a giant poster, news on season four, a report on a convention in Sydney, Austrailia, three new female characters (Sikozu, Grayza and Noranti), and a Q and A with Tammy MacIntosh (Jool). There's a story on the puppeteers, a large section about the villains in the show, a behind the scenes on a two parter episode from season three, a short story (Home Alone), a letters page and an extract of one of the scripts. 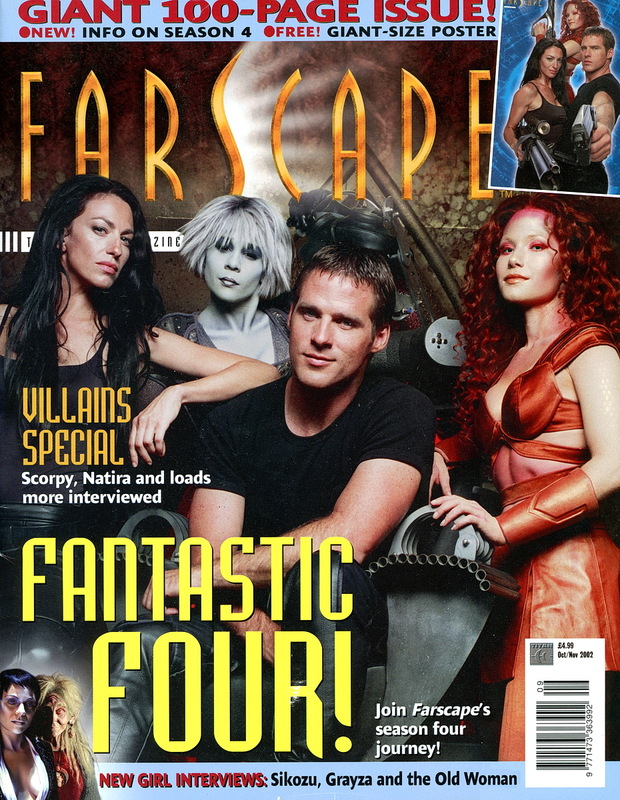 The magazine cost £4.99 and adverts include the Farscape PC Game and the illustrated season companions books at £9.99 each. Emergency Television was a magazine that featured police, medical and fire themes programmes. This issue has features on The Bill, ER, Casualty, Silent Witness, Due South, A Touch of Frost, and Peak Practice. There are updates on several episodes of The Bill, plus profiles on three of the stars. 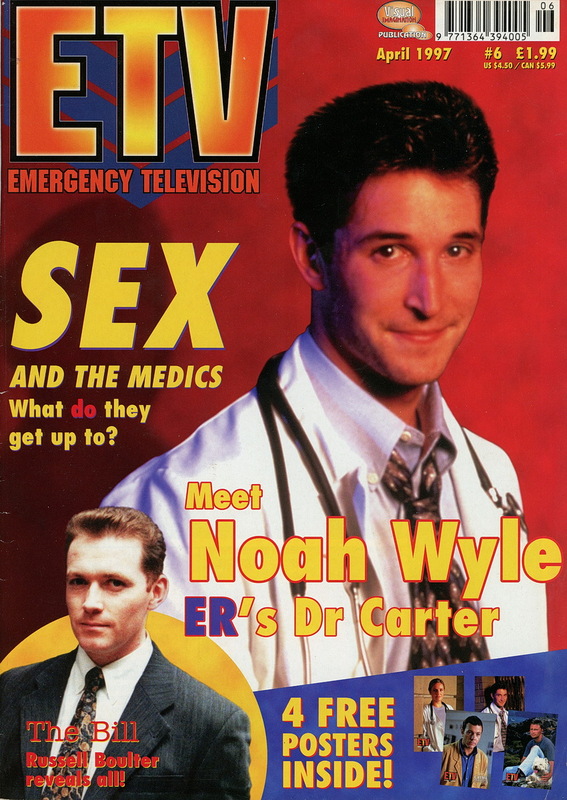 There's an interview with Noah Wyle about his role as Dr John Carter in ER, and profiles on Dr Doug Ross (George Clooney) and Jeanie Boulet (Gloria Reuben). Along with a look back at Dempsey and Makepeace there are two double sided posters of Sherry Stringfield/Noah Wyle and Robert Carlyle/Michael French. The magazine cost £1.99 and as far as I can tell there were only seven issues (this was issue six). This magazine covered the more technical aspects of PCs, and came with either and HD disk or CD-ROM. 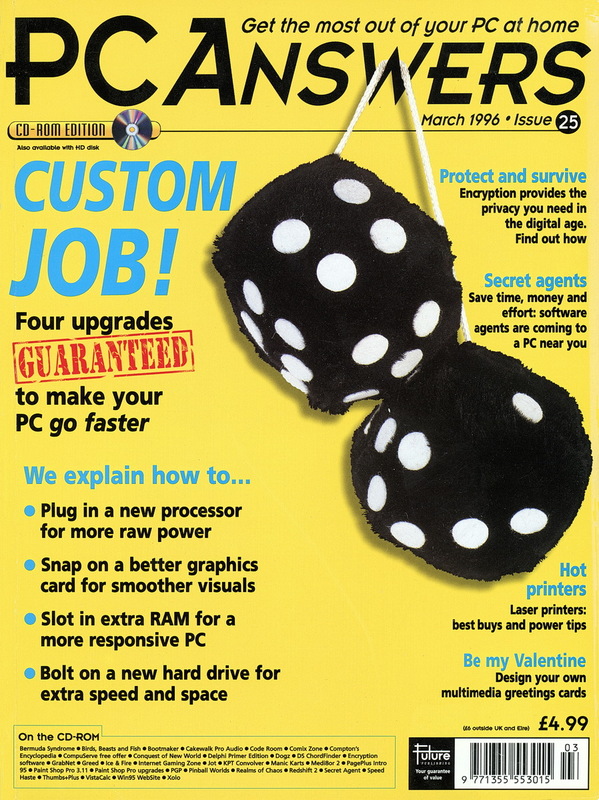 This issue included the shareware version of PaintShop Pro 3, when it was still owned by Jasc. I have used the software from version 2 up to the latest one at the time of writing X8, by Corel. In the news section it advised you not to buy an MPEG decoder card, as the new Intel Pentium P55C would be powerful enough to play videos and VideoCDs. There were reviews of LaserJet printers, a detailed feature on CD-ROM technology, reviews of TekWar and The Dig, a letters page and tips on customising Windows 95. 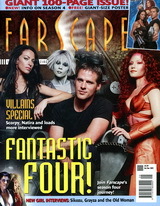 The last issue was in October 2010, number 217. The magazine cost £4.99 and adverts included the Black Widow ScanPro flatbed scanner at £259 (+VAT) and the Notino Voyager 45 laptop for £2,608.50. Tagged as 'Britains biggest selling video entertainment magazine' Video World was divided into three sections, competitions, features and regulars. In this issue, competition prizes included a copy of Communion, Blue Steel, Let Him Have It, New Jack City, one Scotch E180 blank VHS tape, a copy of Privare Lessons and via a premium phone line, a Harley 1200CC Sportster motorcycle. 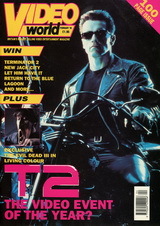 There's an article on the making of Terminator 2 (hence the front cover), Patsy Kensit, Gary Oldman, The Blue Lagoon 2, Evil Dead 3 and TV shows The Simpsons and Twin Peaks available on video. Screen Scene featured three films just released in cinema, namely Father of the Bride, Meet The Feebles and Problem Child 2. Bargain Basement highlighted video releases according to production company, which included The Darling Buds of May (Castle Pictures), The Addams Family TV series (Polygram) and the Mad Max trilogy (Warner Home Video). Other issues had reviews of LaserDisc releases and details of what parts of the film were edited out/in compared to the VHS release. The last 30 odd pages had adult telephone lines or videos for sale but in later issues these were collected together into one supplement in the middle of the magazine that could be removed. The magazine cost £1.95 and there weren't many adverts. Well, the one on the back for a video company had many VHS recorders and cameras but no prices, only a telephone number.